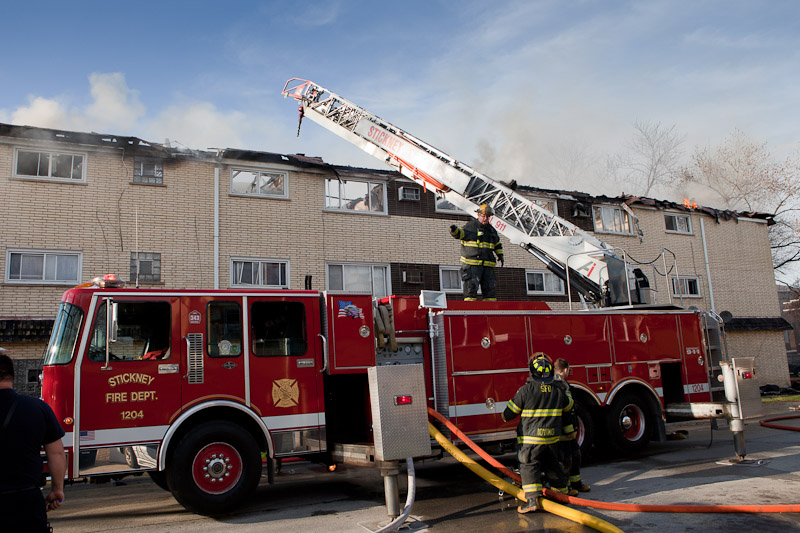 The Chicago Tribune has an article HERE stating that former Chicago Fire Commissioner Brooks is suing Mayor Daley and Daley’s chief of staff Ray Orozco (former CFD Fire Commissioner) for forcing Brooks to resign. 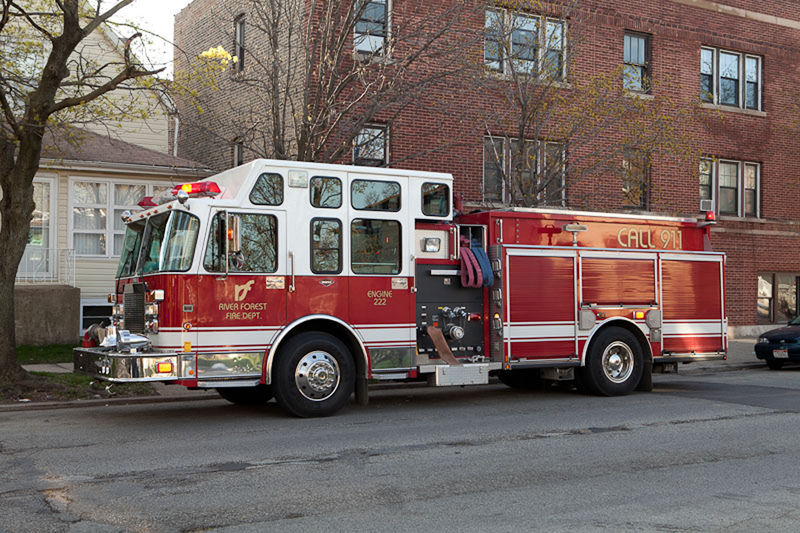 Former Chicago Fire Commissioner John Brooks sued Mayor Richard Daley on Friday alleging that he was forced to resign last year over false allegations of sexual harassment. After Brooks protested, Orozco said that if he did not resign, he would be fired and that a termination “would destroy his name and reputation in the industry” and would diminish his pension, the lawsuit said. On May 7, Brooks contacted the fire department’s pension board and told officials that he was retiring. 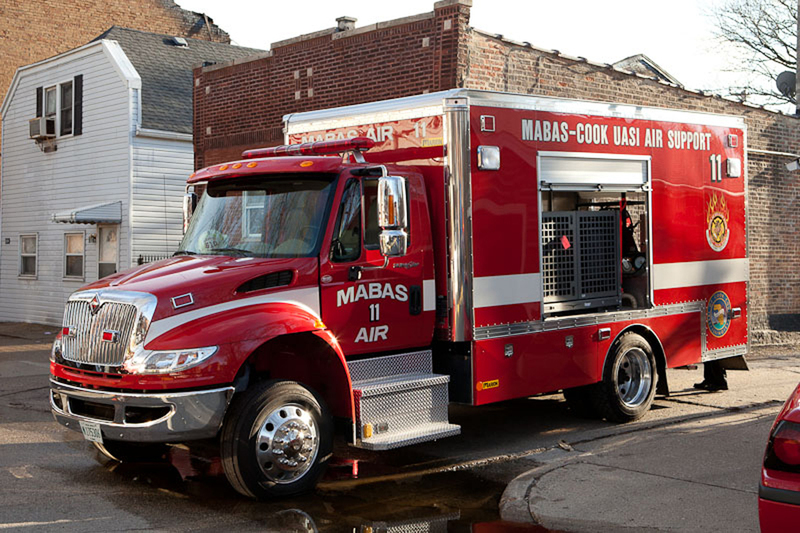 On November 25th of last year, we added the Rockdale Fire Protection District, in MABAS Division 15 to the site. 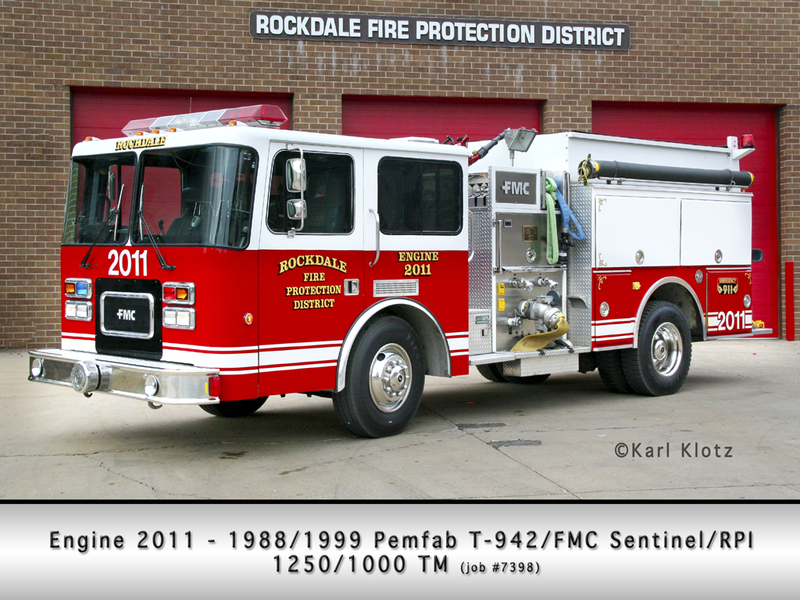 A photo by Karl Klotz featuring Rockdale Engine 2011 was posted with erroneous information. We are grateful to ‘Joe’ from Rockdale who has provided the correct information in a comment. in which the cab was damaged. 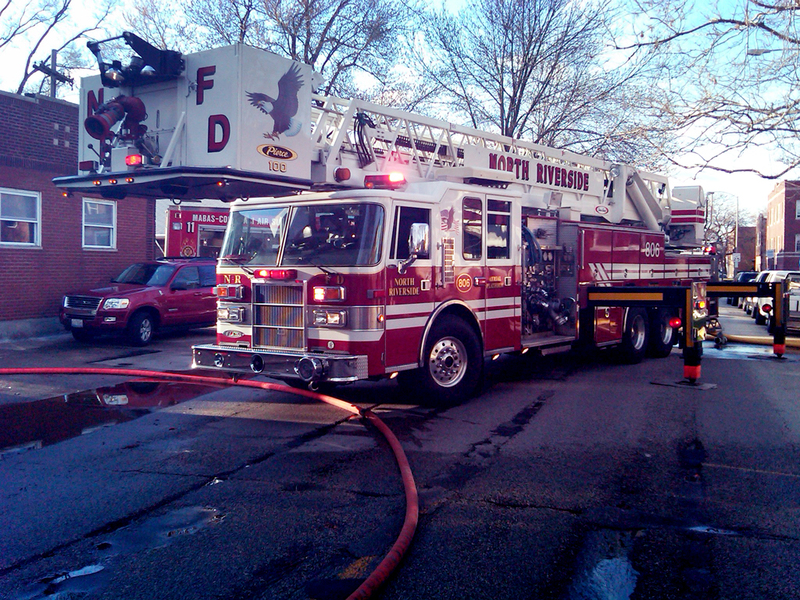 The Fire Dist. contracted with RPI of Tipton, IN. The photo information has since been updated. 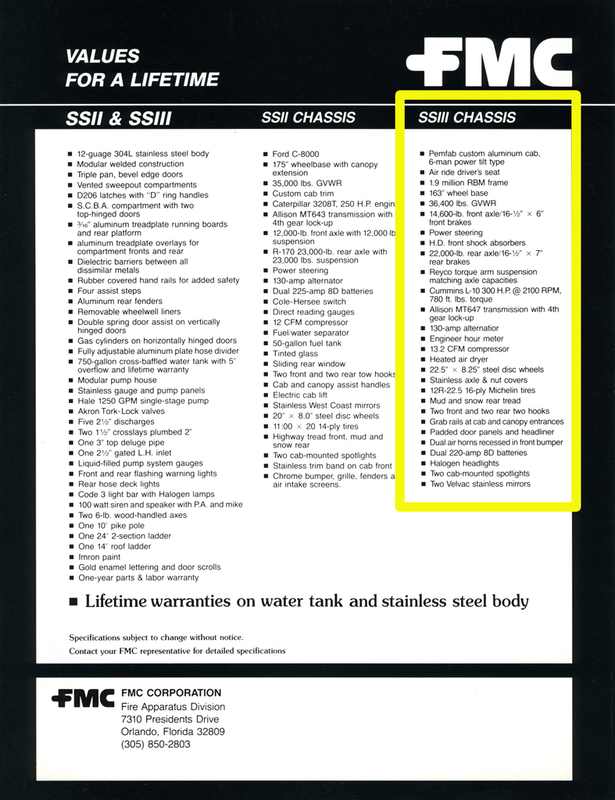 The original post referenced the chassis as being a proprietary design for FMC by Spartan, when in fact it was built by Pemfab. The brochures shown below illustrate two different Spartan designs that were featured. 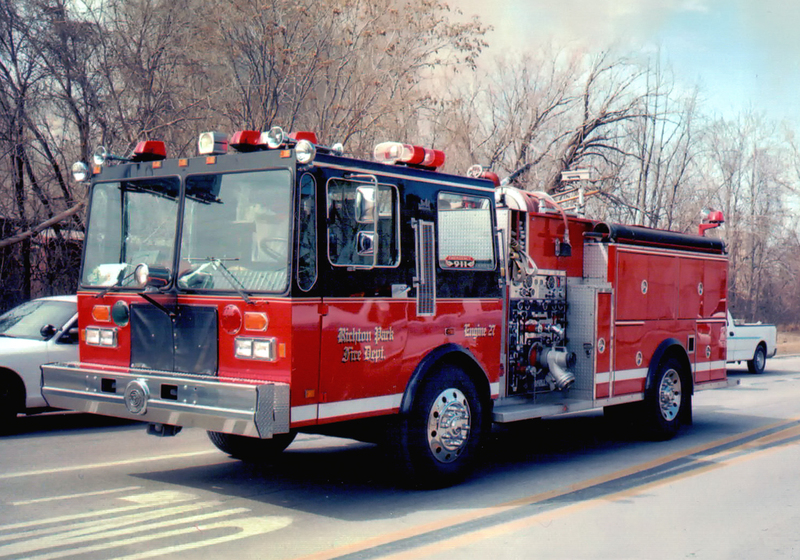 Although cabs and chassis were supplied by both companies, the Pemfabs were not photographed for the literature, even though they were listed as being provided for the custom pumpers. The Pemfab is differentiated from the Spartan by the square black front grill and the side air vent positioned horizontally above the front wheel, whereas the Spartan has a full width black facia and a vertical air vent that is integral with the side and rail. 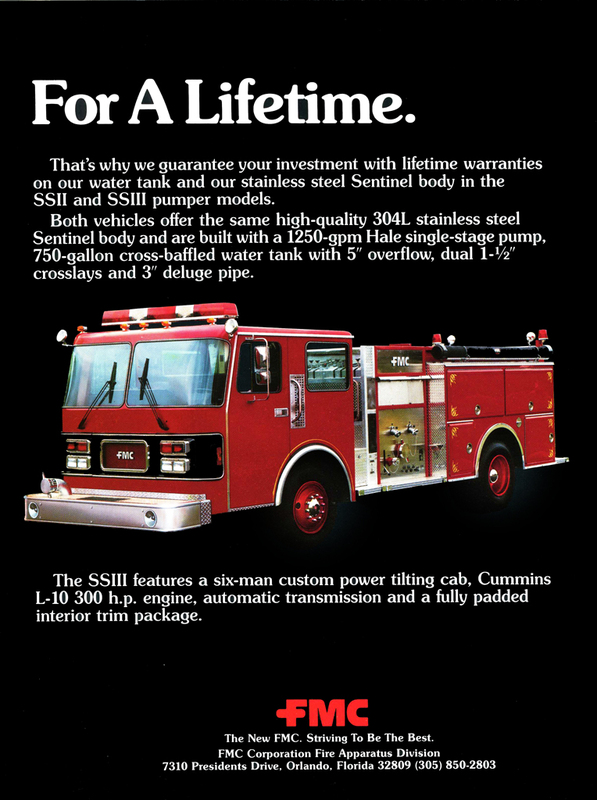 The previous blog post also listed the body style as an Omega, when in fact Joe is correct that it was a Sentinel (SSIII). 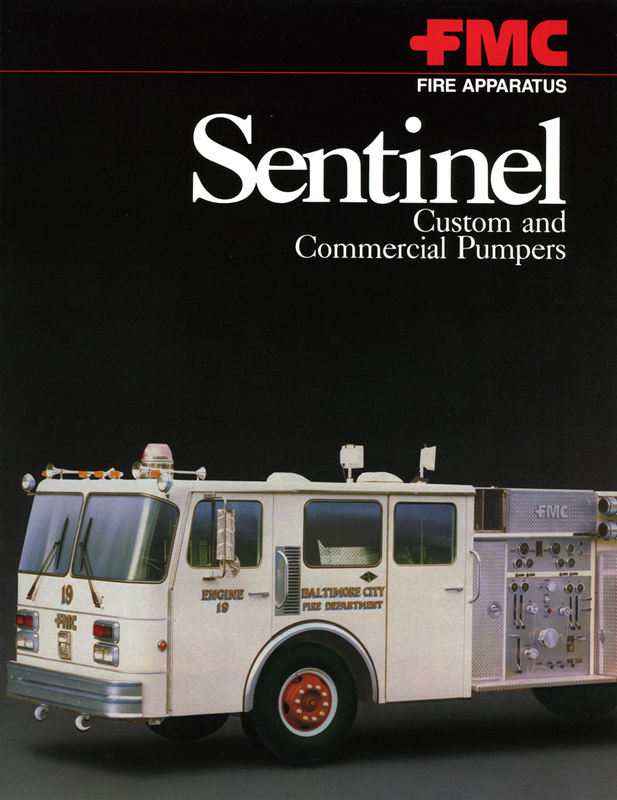 Today at Firegeezer.com, there is another post in their ‘Looking Back’ series where they show ads from Fire Engineering Magazine dating back to the 1950s. 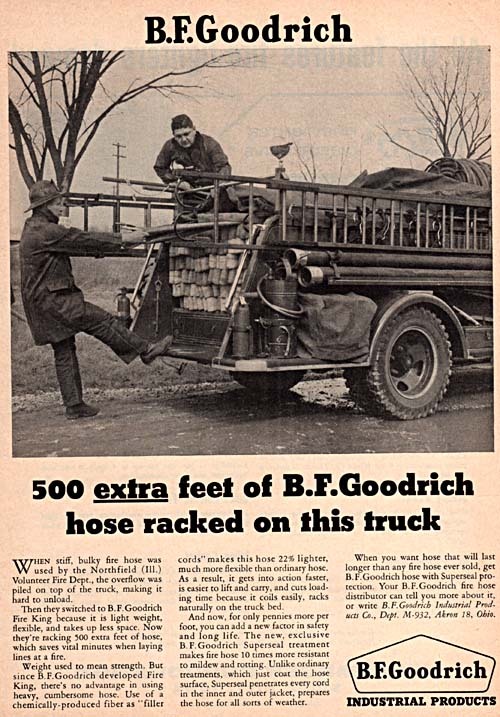 The current post shows an ad for B.F. Goodrich fire hose which depicts two firefighters and an engine from Northfield which appeared in April of 1957. A loyal reader of this site, Campbell Holinger, was at the house explosion this evening in Hickory Hills and has submitted several images. 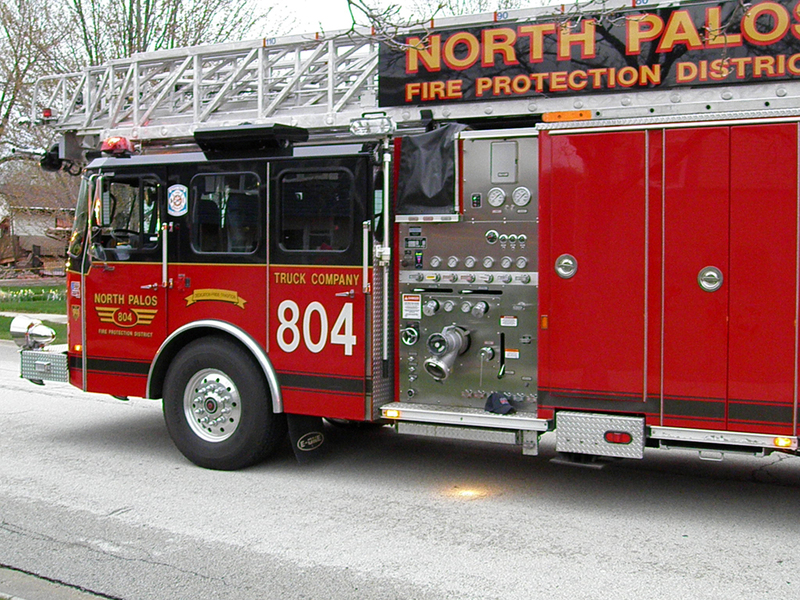 Campbell says that the incident occurred at 9122 Barberry, in Hickory Hills which is covered by the Roberts Park Fire Protection District. 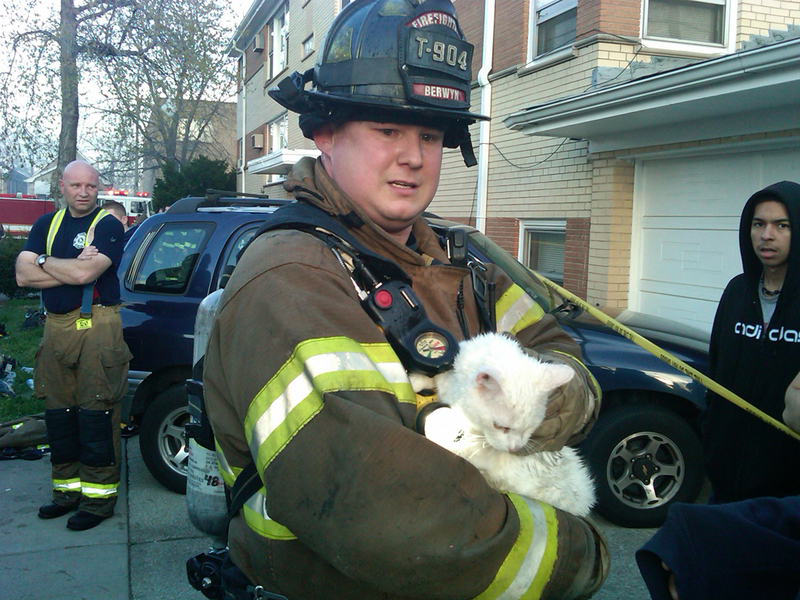 They initially requested a full still alarm for the fire which was followed by a TRT Box Alarm and an EMS Box Alarm. 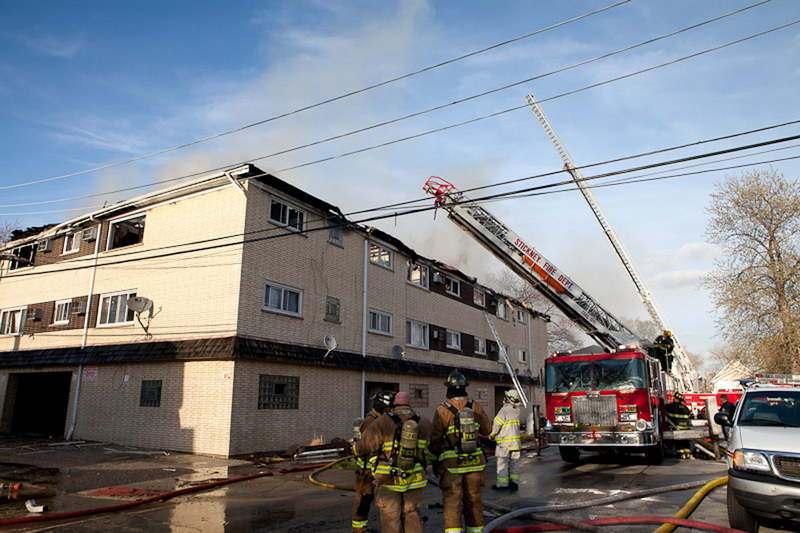 Around 1820 they returned all companies not on the scene, which included most of the TRT equipment and the balance of the EMS Box. 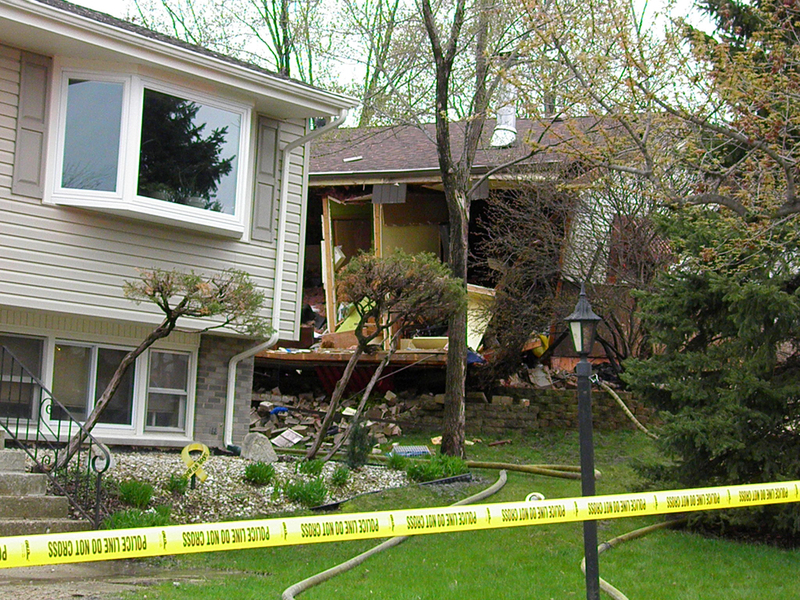 Both homeowners were transported to the hospital in unknown condition. The Chicago Tribune has an article with a video clip HERE. 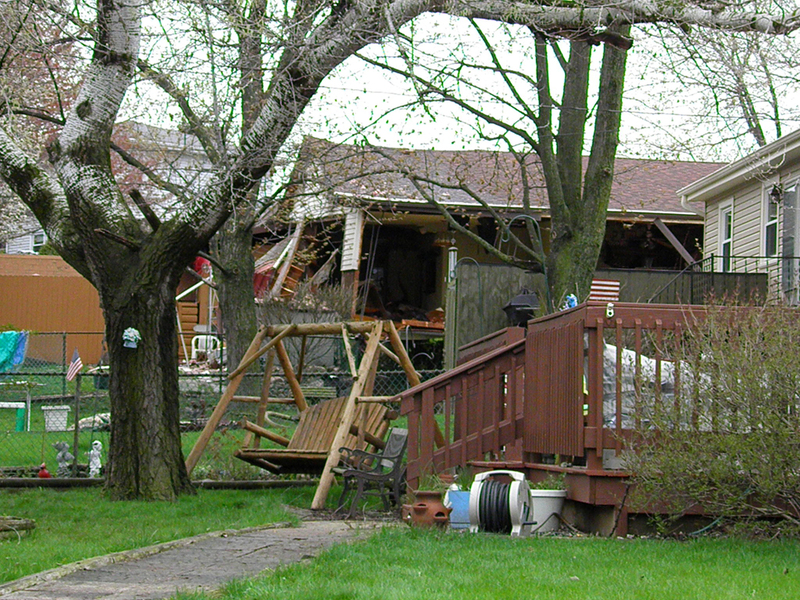 Polensky (a neighbor) said that a retired couple had lived in the raised ranch home for years and he said he saw the couple walking out of the home appearing uninjured. Police said no one was injured. 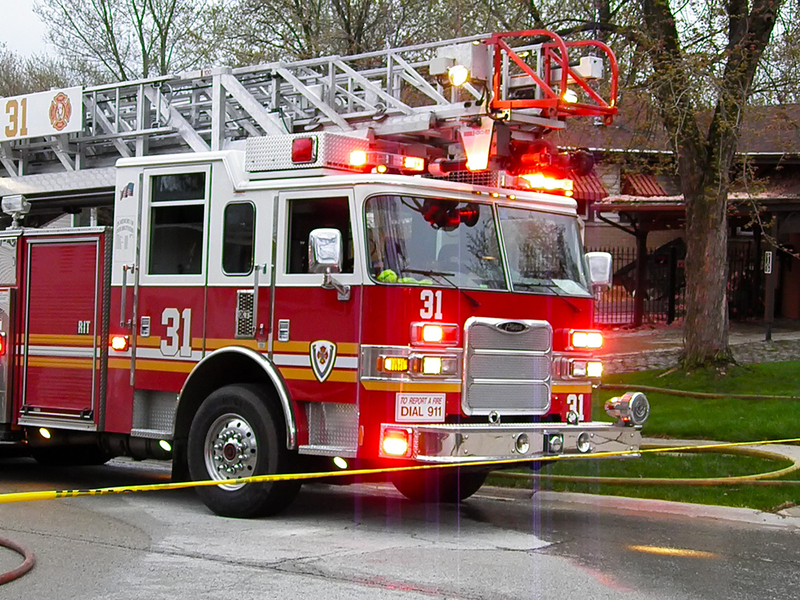 He said that when crews arrived, large plumes of smoke streamed out of the home as though something were smoldering inside. 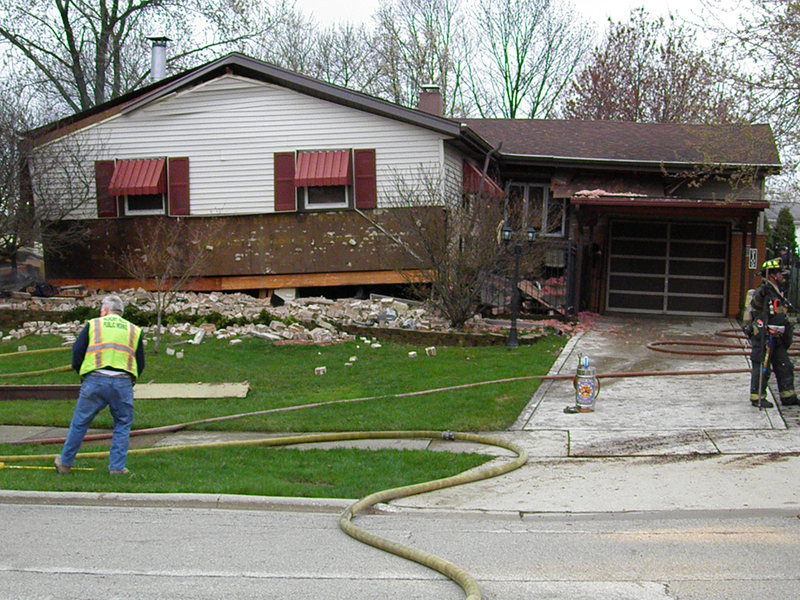 Currently nearly a dozen fire crews were in the area and were going to surrounding homes checking for gas. Campbell has images posted on Facebook HERE. 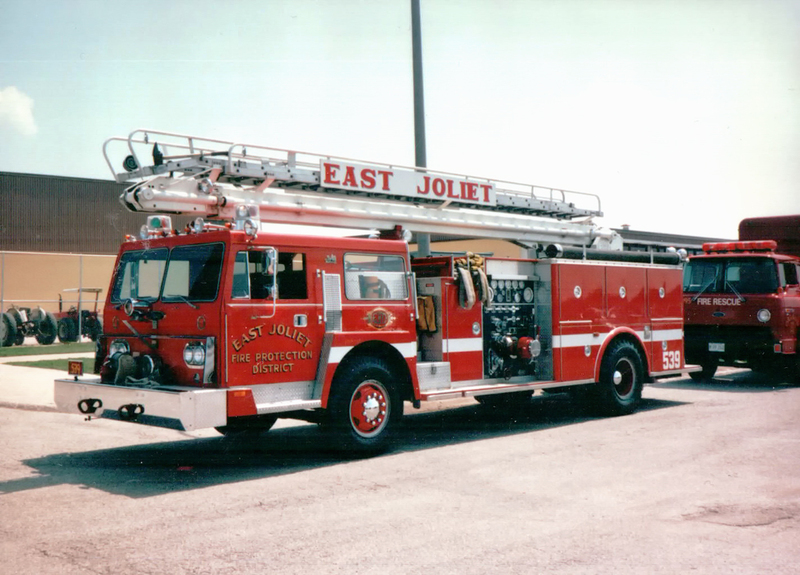 As historical galleries are added to more fire departments that are represented on the site, we are pleased to be adding images that Karl Klotz has begun to scan from his collection. There is quite a bit of work involved to scan, collate, and label the image files that come in, and Karl’s images are a welcome addition. Here are just two of the images that have been submitted for inclusion in future galleries. One of two ambulances. Jeff Rudolph had an image of the first new ambulance which was posted HERE. 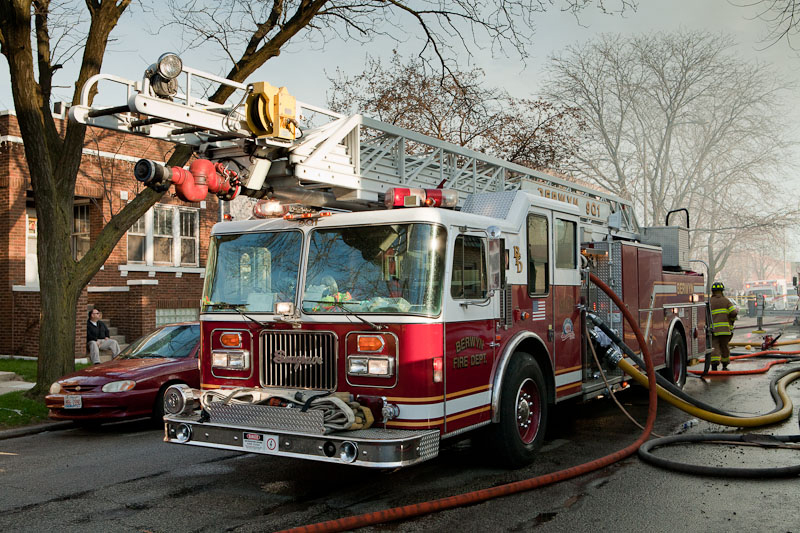 Karl Klotz took advantage of some nice weather recently and sent some updated photos of apparatus in Winnetka. 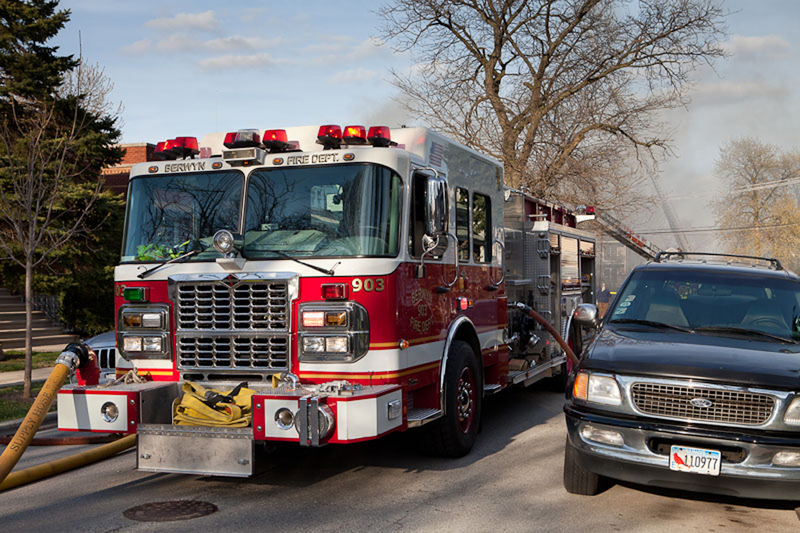 The page now has posed images of Battalion 28, Engine 28R, and Ambulance 28R to replace on-scene photos that were previously posted. 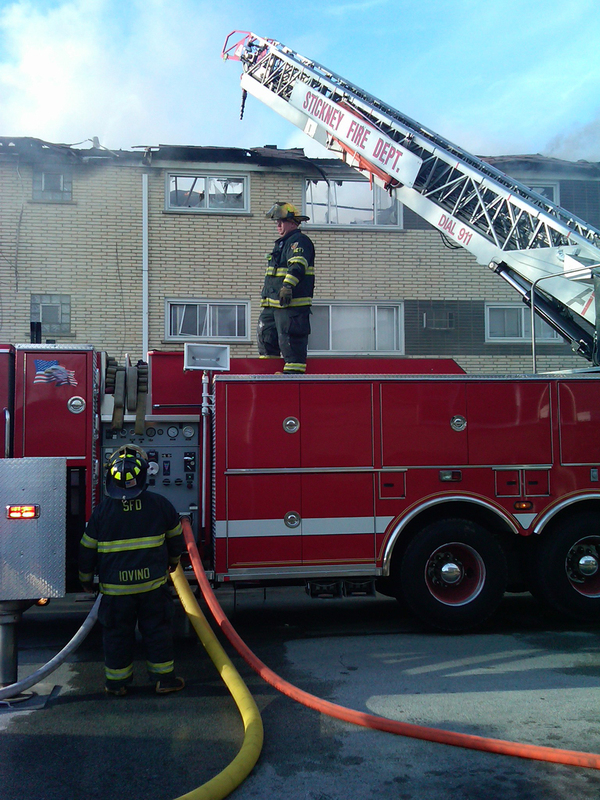 Steve Redick submitted the following images. 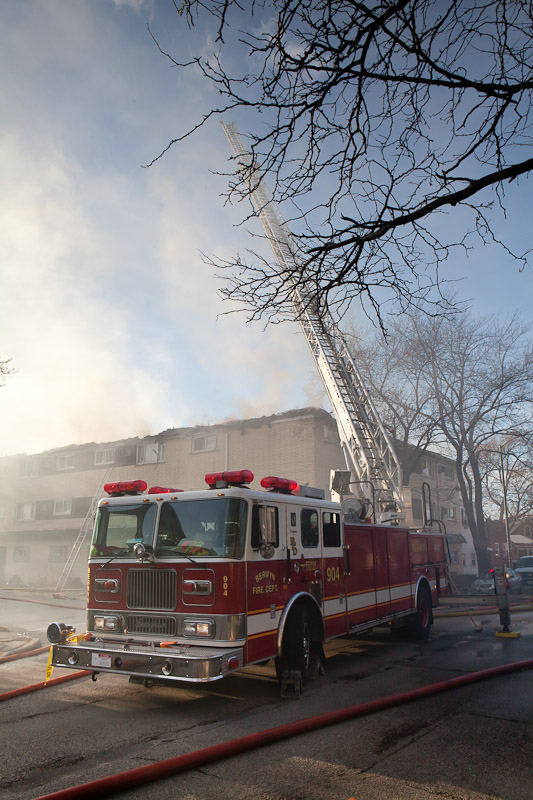 Tim Olk and Steve Redick both took in the fire in Berwyn although they arrived much later than Josh who was behind the first due truck. Tim submitted a few images as did Steve.